Are you looking for a speaker for your civic organization, club, or school classroom? 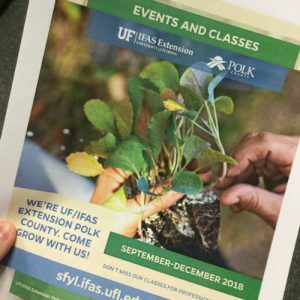 Consider a gardening program from UF/IFAS Extension Polk County. We have a variety of gardening and landscaping programs for all ages. Fill out a speaker request form here. ← Gardeners Just Wanna Have Fun! Residential Horticulture Agent & Master Gardener Coordinator at UF/IFAS Extension Polk County.